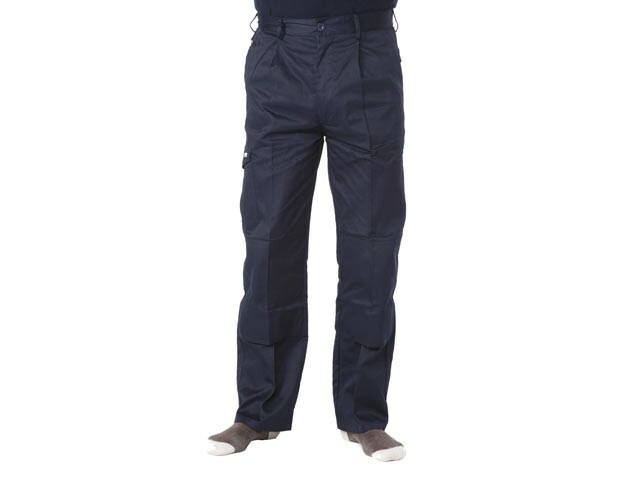 The Apache Industrial work/drivers' trousers are made from 260g polycotton and have bottom loading knee pad pockets, hammer loop and ruler pocket. They also have button fastening pockets at the rear. They are made from strong durable 65% polyester, 35% cotton and are ideal for all DIY or professional use. These Apache trousers are available in 2 leg lengths for optimal fit: 31, and 33 inch with sizes 32 to 42 inch waist.